Large and varied, the figwort family ("Scrophulariaceae") has many members with blossoms similar to those of common garden snapdragons ("Antirrhinum majus"). 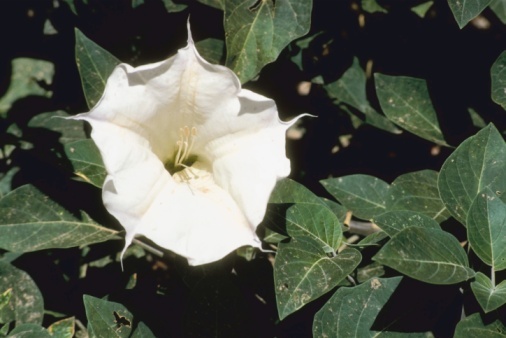 These include wildflowers that are sometimes cultivated in home gardens and which may be considered beneficial or invasive, depending on where they're grown. 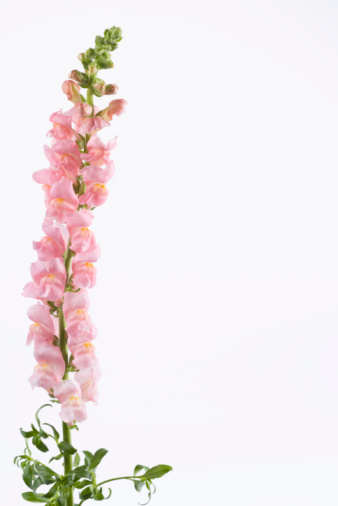 Some have flowers that look like those of open-faced antirrhinums, while others have the standard jawlike snapdragon blossom that opens like a dragon's mouth when squeezed. Few, however, come in the broad range of colors featured by their garden-variety cousins. Garden snapdragons are welcome sights, unlike their overly aggressive relatives of the toadflax genus. Hummingbirds love darting from one crimson blossom to another in the lime-colored foliage of the island snapdragon bush ("Galvezia speciosa"). Similar to other members of the figwort family, island snapdragon prefers full sun. This native of Southern California's Channel Islands grows well on slopes and in hanging baskets. Its flowers, which blossom year-round, have the jawlike configuration of garden snapdragons. A close relative, the Baja snapdragon ("Galvezia juncea"), has slender, cherry-red blossoms that grow on the tips of long, rushlike branches reaching up to 5 feet tall. Both shrubs are perennials that are cold-tolerant to USDA zone 9.